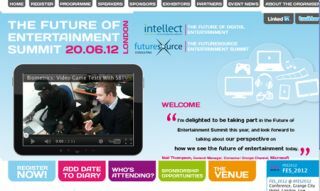 The Future of Entertainment Summit 2012 | What Hi-Fi? Culture minister Ed Vaizey is talking this morning at the Future of Entertainment Summit being held in London. The summit – chaired by the BBC's technology correspondent Rory Cellan-Jones – is covering a wide range of topics, from digital radio (DAB) rollout, the impact of second-screen viewing on conventional TV, the impact of social media, video on demand and internet regulation. • MP Ed Vaizey says "Digital radio switchover is going well: listening is increasing and in-car is at a tipping point. The majority of new cars will have DAB fitted as standard." He also says "we met with electrical retailers and told them it's wrong to sell a customer just an FM radio; they will want a DAB option too". • Sky Now online TV service will launch in the summer, starting with films and then adding sport and entertainment later. • Alex Green of BT says "YouView will shake up TV and appeal to people who have resisted pay TV so far". • Ed Vaizey on the slow rollout of 4G :" If you want to know who to blame for 4G delay, ask the networks who keep suing Ofcom." • Vaizey also says: "The rise of smart TV will create challenges for the tech industry when it comes to regulating content and protecting consumers." • Vaizey confirms the Communications White Paper is due in early 2013, and will cover media ownership and plurality. • Social TV will be worth $8-12bn by 2020. • 70% of tablet owners use them while watching TV. • Bandwidth demand from ISPs is up 40% year-on-year. • Dan Saunders, Samsung: "We're trying to understand how consumers interact with Facebook and Twitter, while watching TV." • Ultraviolet – the 'digital locker' cloud service for storing and watching your film or TV collection anytime and on any device – should have two or three UK retailers by the end of this year, according to Gerald Hensley, vice-president of Rovi. • Jim Bottoms of Eurosource says €121bn was spent on consumer entertainment in Europe last year. On 3D TV, he adds "3D is a disappointment for everybody – it's a theatrical business, not a home one. Glasses-free 3D TV is still three to four years away." • Jim Bottoms: "The biggest challenge is to keep the consumer paying for content." • Rob Salter, Tesco: "Customers are getting more cautious about the entertainment products they buy." And he also believes Ultraviolet digital locker is too complicated for consumers to understand. • In-store film purchases at Tesco will automatically be added to customers' Blinkbox accounts. "We need to offer complete solutions, rather than just products."